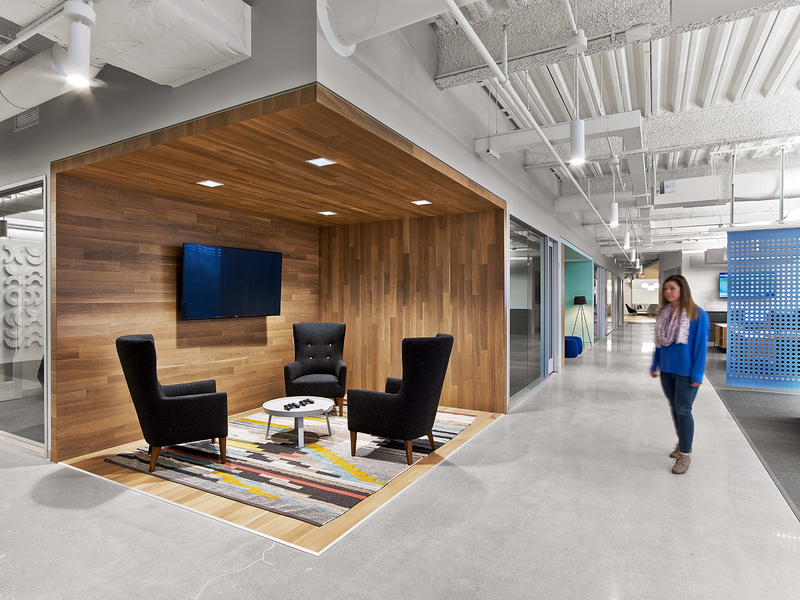 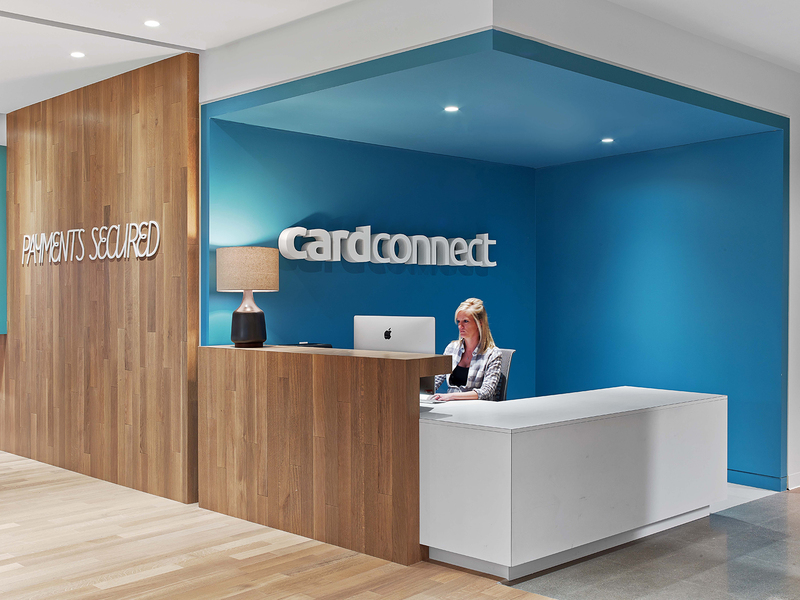 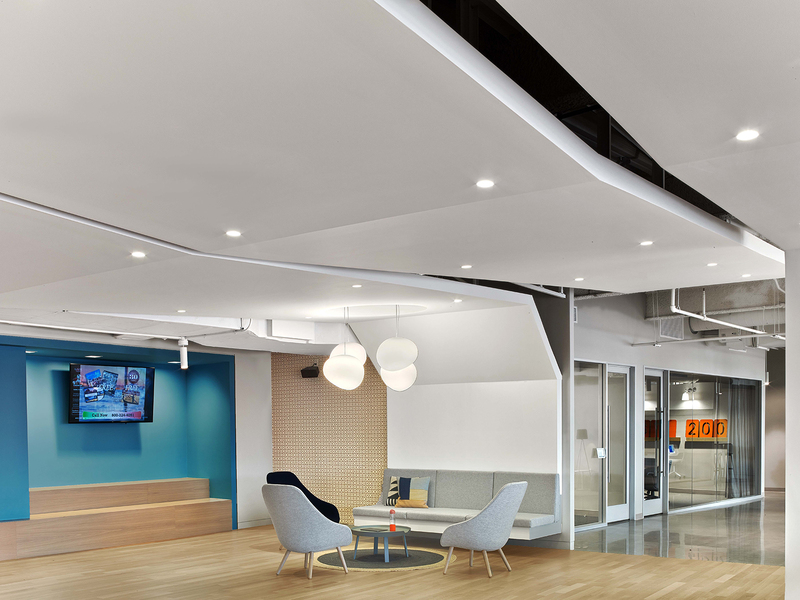 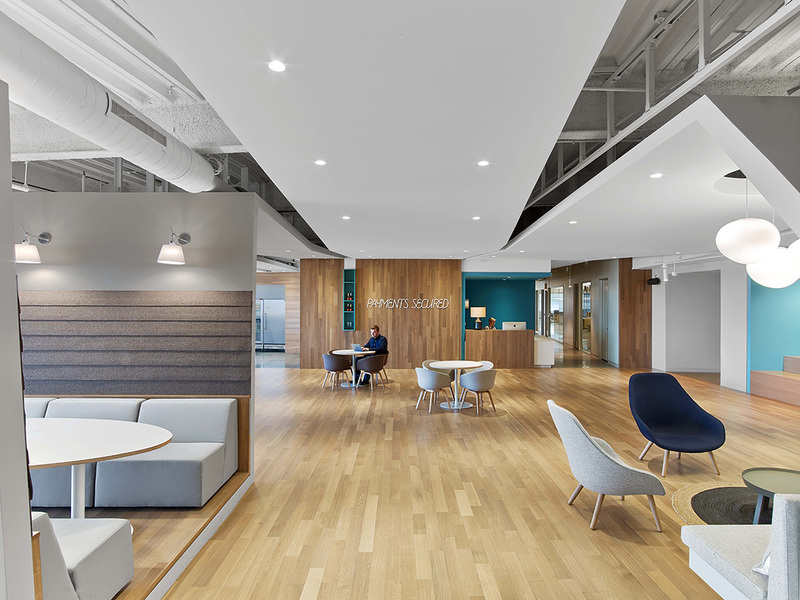 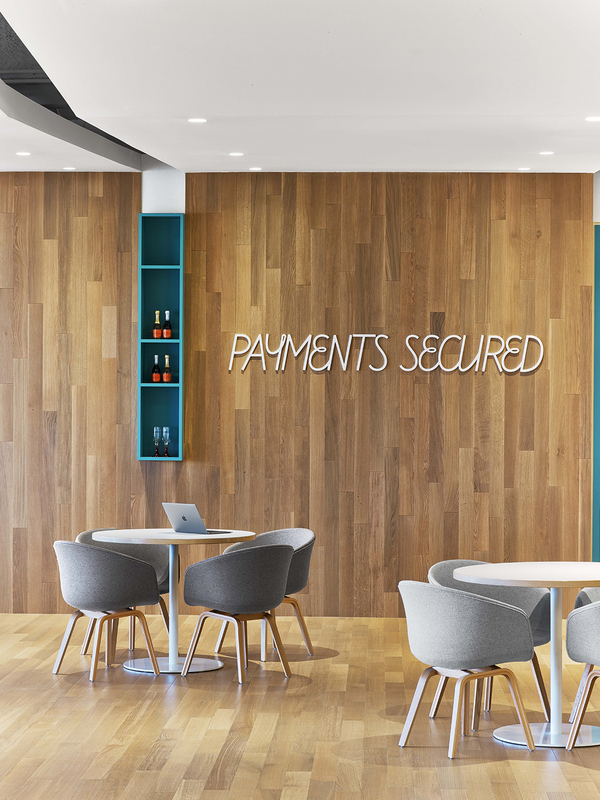 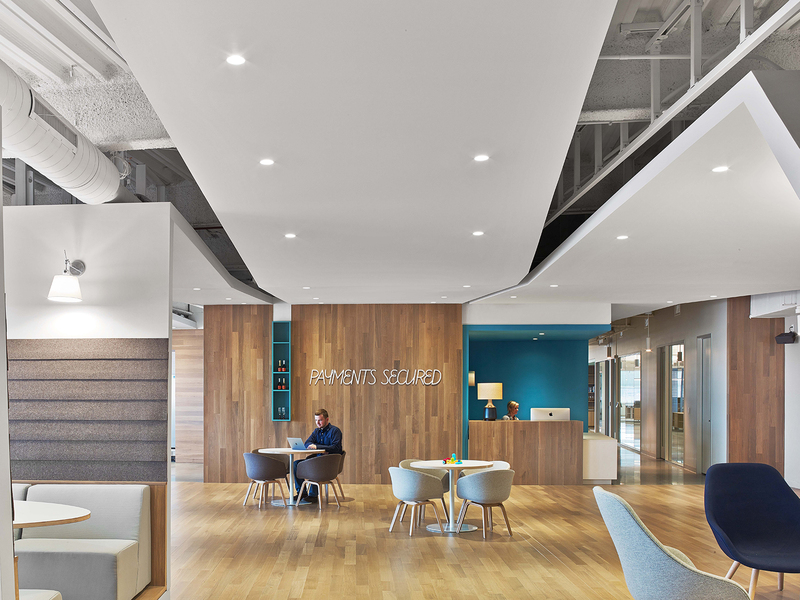 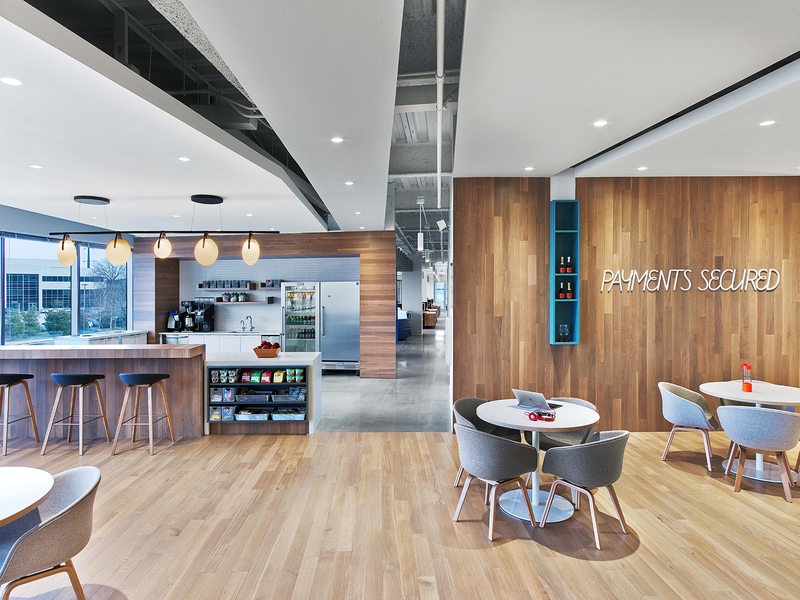 CardConnect, a fast growing fintech startup that provides electronic transaction processing services, recently moved into a new headquarters in King of Prussia, Pennsylvania, designed by Rapt Studio. 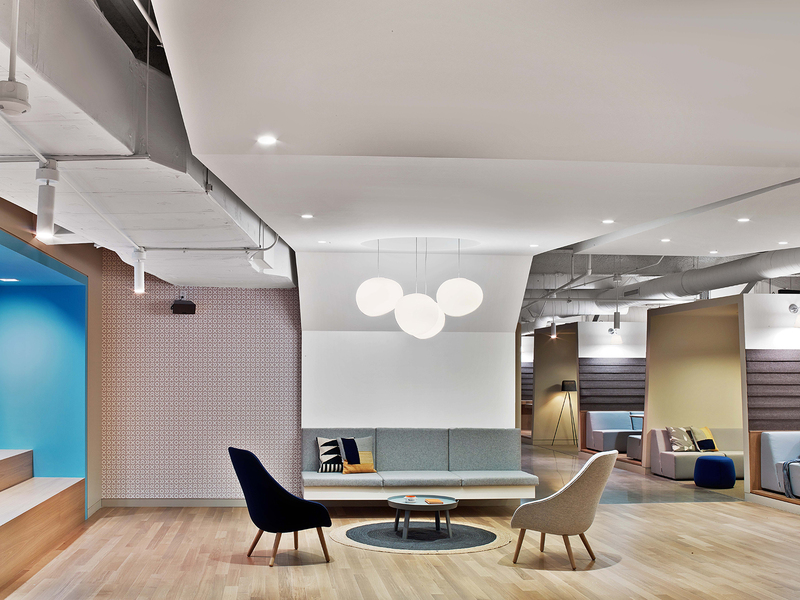 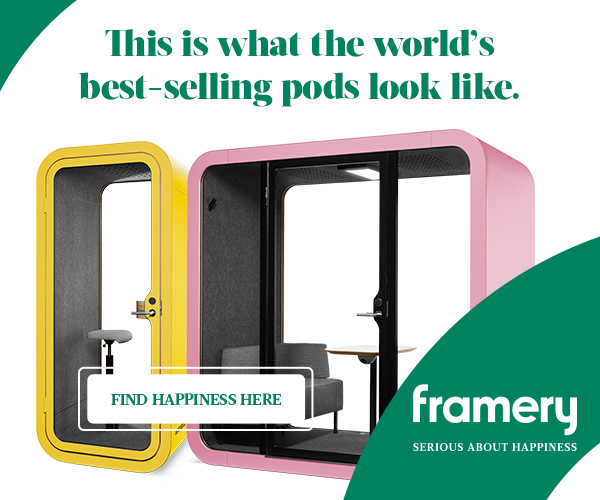 “With a mix of work types—including finance, technology, sales, and support—it was a priority for the workplace to encourage communication and connection between the groups, while still addressing the unique needs of each. 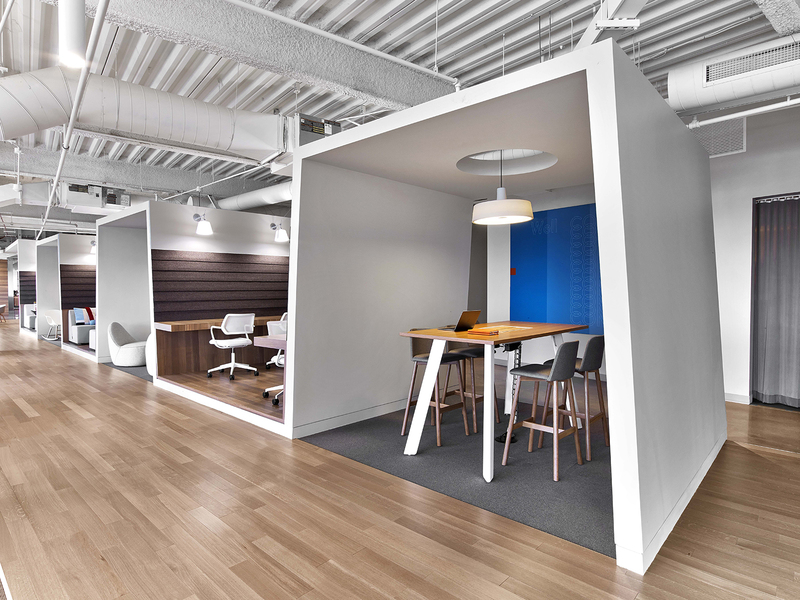 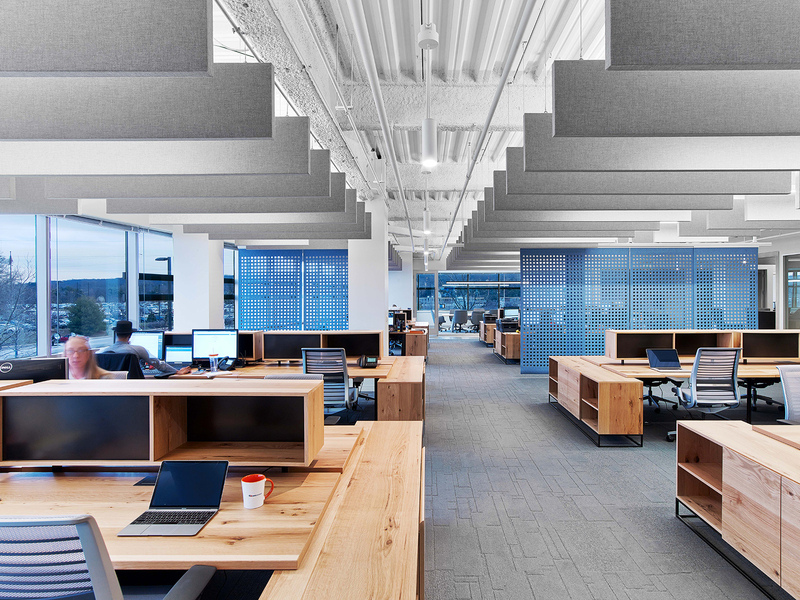 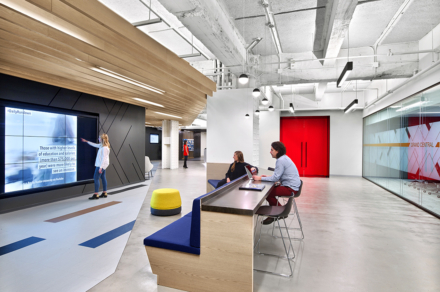 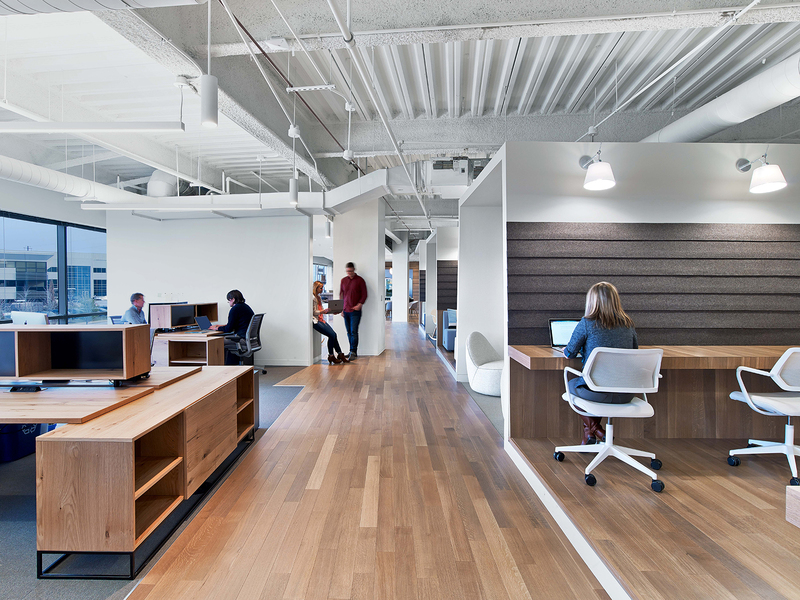 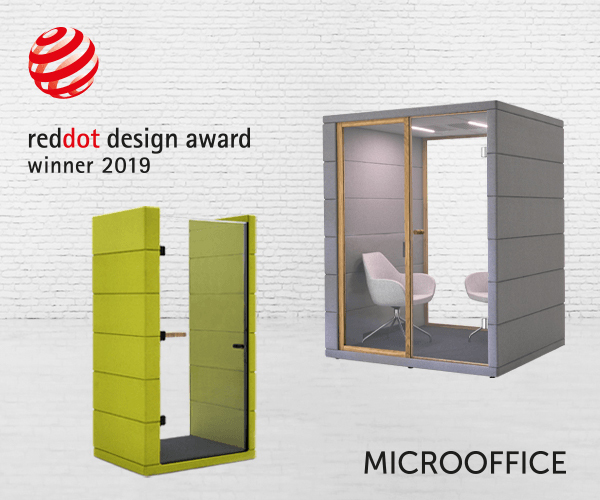 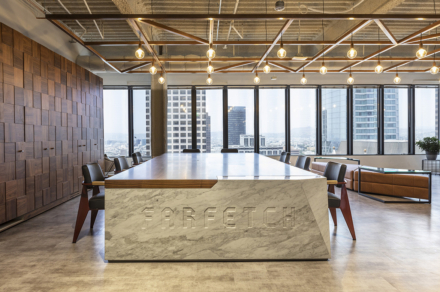 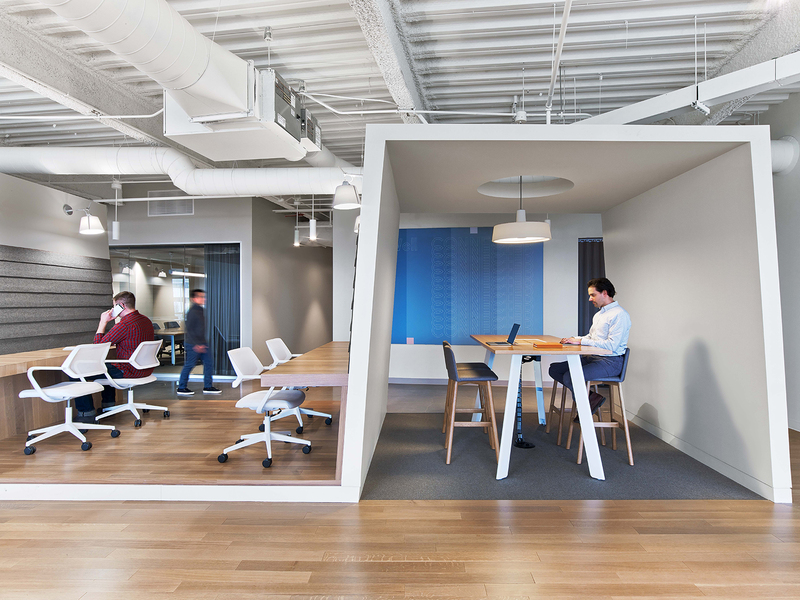 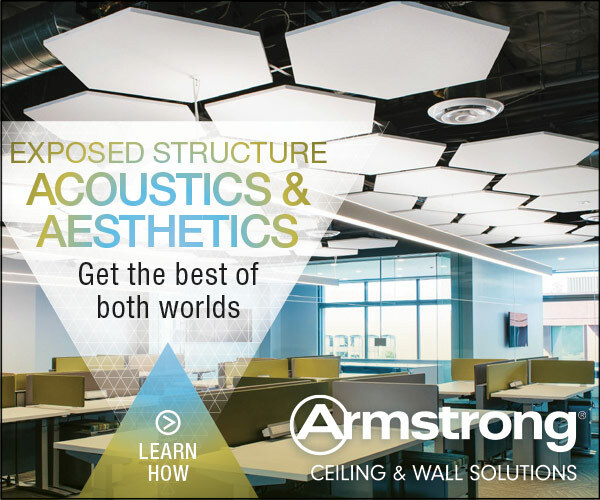 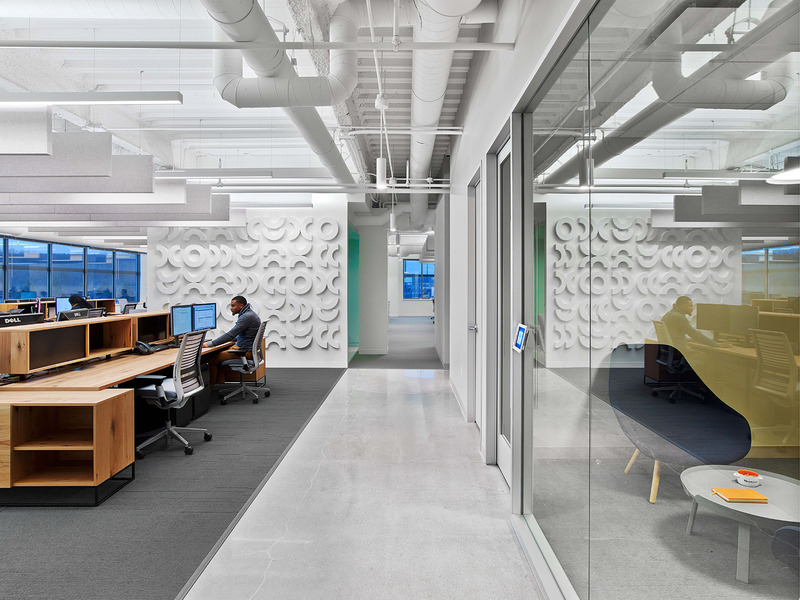 By reducing the amount of enclosed, private space, CardConnect was able to realize a culture that has flattened hierarchy, increased collaboration, and provided choice to all employees, regardless of work function. 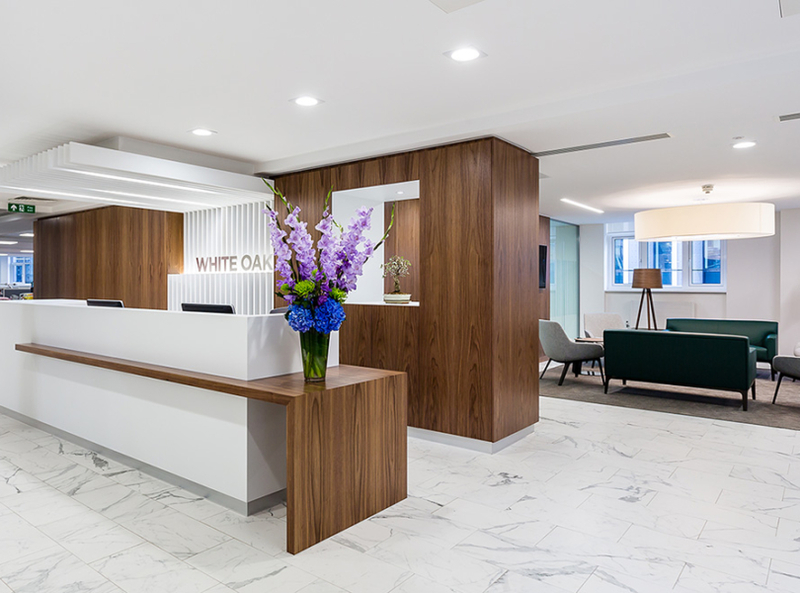 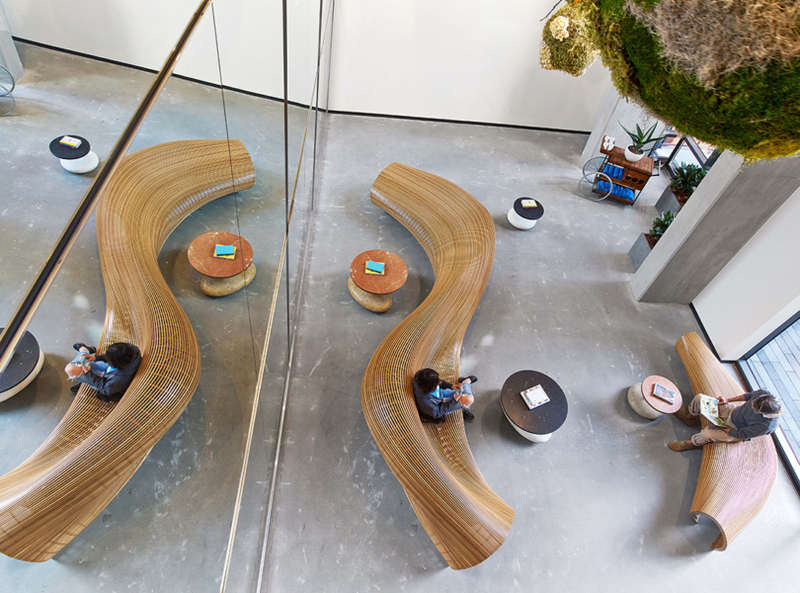 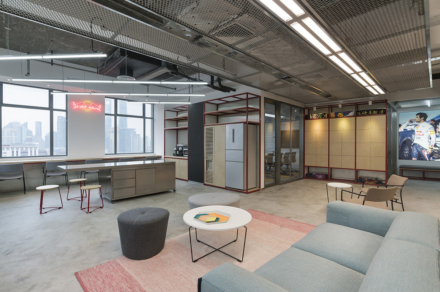 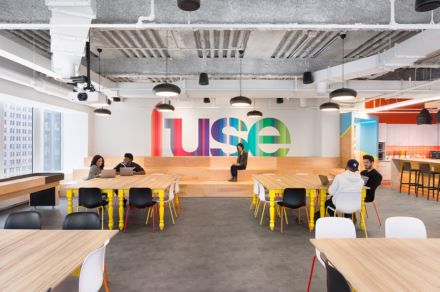 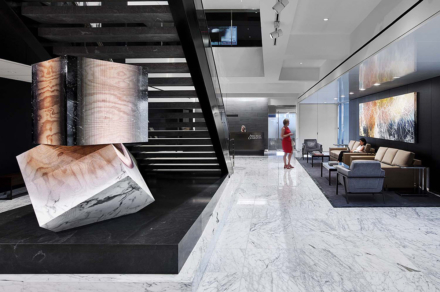 Previously headquartered in a space that included a large number of private offices but a lack of meeting rooms, the renovation offered the perfect opportunity to reimagine how the workplace might best support employees”, says Rapt Studio.